When Samsung announced its new angel, Galaxy S III, the first question that comes in the mind is what is the major difference between it and the last one, Galaxy S II? Most of the successors are launched with very small changes and innovation, but when it comes to the new Samsung Galaxy S3 the story is totally different. 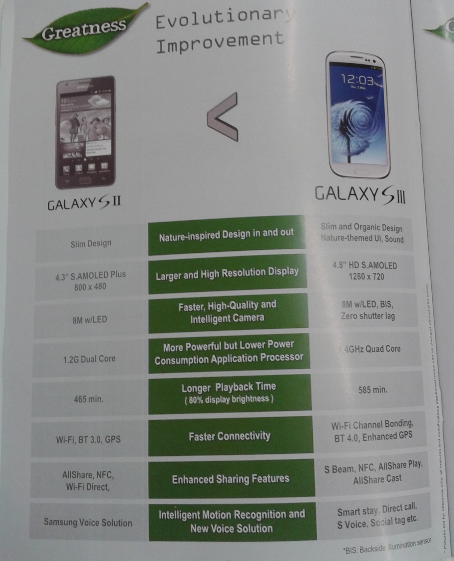 Evolutionary improvements have been done to make a genius smartphone, Galaxy S III. WOW!! This is really very nice and useful information i like it i wanna to more infoermation about Samsung Galaxy S3 i will be back here. The evolution is amazing, it is a great step forward.